A West Bend High Schools tradition that dates back to the 1970s is now at risk. 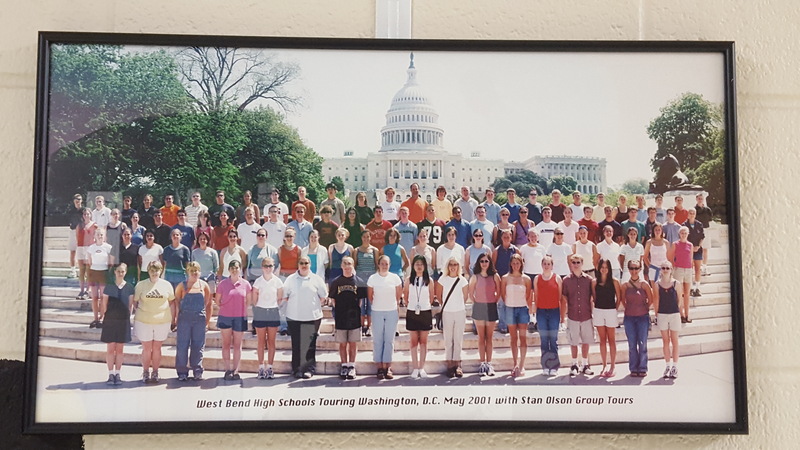 Since the twin high schools opened, WBHS students have always been given the opportunity to travel to New York and Washington D.C. for a week. The last NY/DC trip took place in 2013, and there is an upcoming trip scheduled for April 15-20. The total cost for next year’s trip comes out to about $1,300 per student, and is being organized by Scott Mindel, East social studies teacher. However, April’s trip is in jeopardy of being cancelled due to a lack of student participation. In order for the trip to take off, a minimum of 40 students need to sign up, with the deadline fast approaching in approximately two weeks. So far, three have signed up. Factors such as the global world language and music trips, or the new Washington D.C. trip eighth graders in the West Bend School District participate in, may contribute to the recent decline in interest. However, Mindel does not believe that the cost of the trip is a major factor. However, global trips have taken a toll on some students’ wallets. Students who go on the trip certainly get bang for their buck. Each day of the trip is stacked with activities. “We pack a lot of activities into that week, and they learn a lot and have fun, too,” Mindel said. “We do anything from touring the battlefield at Gettysburg to Mount Vernon, the monuments in Washington D.C., a tour of the capital, National Archives, Library of Congress and a group picture at Arlington National Cemetery,” Mindel said. There’s also all the New York activities, such as a visit to Manhattan and the Statue of Liberty. In addition, students go to Ellis Island and take in a Broadway show. They also have the opportunity to experience Little Italy, Chinatown and Central Park. Not all activities are strictly structured, and students can enjoy free time in both D.C. and New York. Arielle Carlson, an East senior, plans on attending the trip. For many students in the past this trip was their first East Coast experience as well. Tagged as Arielle Carlson, Jessica Steger, New York, Prairie Haubrich, Scott Mindel, Washington D.C.